Figure 12.2 Artist’s conception of ATS-6 support. Source: NASA. To test the efficiency of such a massive system for the entire Indian pop­ulation officials at NASA and the State Department conceptualized a limited one-year SITE project using the ATS-6 satellite (figure 12.2). The SITE project was not without domestic resistance, however. To reach a consensus among dif­ferent agencies Sarabhai set up an ad hoc National Satellite Telecommunications Committee (NASCOM) in 1968. SITE was finally approved after an extensive debate in the parliament. When President Reagan authorized the space station in 1984 it was to have been completed within a decade for $8 billion. During the next nine fiscal years (FY1985-1993) more than $10 billion had been spent without much to show for it. As of January 1995 only about 25,000 pounds of flight quality hardware had been fabricated, less than 3 percent of what was then projected to be a 925,000- pound facility. This was primarily because “the space station effort for nine years languished in the design phase.”59 The “dual-keel” design of October 1985 was followed by the “revised baseline configuration” of Space Station Freedom, and then a “restructured space station” that was unveiled in March 1991, and sched­uled to cost $30 billion. Space Station Freedom survived Congressional criticism in 1991 partly because its “durability” was indicative of the Bush administration’s determi­nation to maintain its leadership of the free world even as the Soviet Union imploded. It also sent a strong signal to Moscow just when the United States was reaching out to engage in closer relationships with its erstwhile rival. On July 31, 1991, President Bush and Premier Gorbachev signed the historic START I treaty in which they agreed to dramatically reduce their stockpiles of nuclear weapons. They also charged a number of joint working groups to negotiate cooperation in various space-related fields (see chapter 8), including an extended stay by an American astronaut on the Soviet Space Station Mir. In 1992 Bush and Russian president Boris Yeltsin extended plans for space cooperation beyond scientific support and an exchange of astronauts to include a rendezvous and docking mis­sion between the Shuttle and Mir. Mir, which had been launched in 1986, was the “strangest, largest structure ever placed in Earth orbit,” “a dragonfly with wings outstretched,” “the best and the worst of Soviet technology and science,” a “cluttered mess” inside, “with obsolete equipment, floating bags of trash, the residue of dust, and a crust that grew more extensive with the passing years.”62 Mir was also a testing ground for long-duration human spaceflight. Cosmonauts typically spent four-six months, even more than a year on board. Bill Clinton was inaugurated as the new president in January 1993. He and Vice President Al Gore were determined to continue the process of modern­izing and stabilizing Russia, of demilitarizing its high-technology sector, and of remodeling its institutions and industries along American lines. For Clinton and Gore space collaboration was embedded in a broader attempt to encourage Russia and the Newly Independent States (NIS) in their transition to democracy and market economics. It had the programmatic aim of capitalizing on Soviet space technology and know-how. However, it was also seen as an instrument to channel hard currency into a crumbling infrastructure, to retain elite scien­tists and engineers who might otherwise drift into the arms of rogue states, to encourage government and industry to adhere to the provisions of the Missile Technology Control Regime, and to isolate the opponents of reform by sustain­ing a high-prestige Soviet activity even as the communist system collapsed.63 In April Clinton met with Yeltsin in Vancouver and finalized an American aid package of $1.6 billion. He also invited Russia to participate in a renewed space station program. One of the most important by-products of this meeting was the so-called Gore-Chernomyrdin Commission (Victor Chernomyrdin was the Russian prime minister). It first met in September and then in December 1993 to work out details of bilateral agreements on space, energy, and technology (see chapter 8). Congress voted on two expensive technological projects inherited from the Reagan years within days of each other in June. Both of them were intended to restore American prestige in the context of Cold War rivalry. One was the Superconducting Super Collider, on which $2 billion had been spent. Work had already begun on digging an oval, 54-mile underground tunnel near Dallas to hold the particle accelerator. The other was Space Station Freedom. Congress voted to kill the SSC; the Senate confirmed the decision a few months later.66 The Space Station survived by just one vote on a day that Dan Goldin later recalled was his worst ever at NASA.67 A year later, in summer 1994, the House of Representatives endorsed the station by 123 votes. Saving domestic jobs was one important reason for Congress’s support: NASA spread industrial contracts for the space station across 39 states, thereby spawning an estimated 75,000 jobs by 1992.68 Foreign participation and the diplomatic consequences of being seen as an unreliable partner undoubtedly also carried some weight. With the Gore-Chernomyrdin commission getting into its stride, NASA drafted a new International Space Station Project. It had three phases and Russia was crucial to all of them. Phase 1, scheduled to last from 1994 to 1997, was a joint Shuttle/Mir program that would enable American astronauts to familiar­ize themselves with living and working in space for extended periods of time. The station core would be built in Phase 2, that would last the next three years and to which Russia would contribute several critical elements, including guid­ance, navigation, and control. In Phase 3, lasting from 2000 to 2004, the station would be completed with the addition of research modules from the four coun­tries that were building them. Russia would again provide key elements, like a habitation module (until the United States had built its own), and a crew return lifeboat for emergency evacuation. A comprehensive $400-million contract was signed between NASA and the Russian Space Agency to implement this plan. These plans evoked criticism both at home and from the foreign partners. One of the major concerns was whether, given the state of the nation, Russia could be relied on to provide items that were critical to mission success. Others complained that the United States was using foreign aid to boost the space infra­structure of Russia and the NIS without being sure that they could deliver and at the expense of American jobs. Indeed NASA paid dearly for making an excep­tion to its policy of clean interfaces and no exchange of funds. The Shuttle/Mir program was also a headache. The Russians demanded funds for goods and services that NASA believed had already been paid for, and charged “exorbitant” fees for cosmonaut time on American projects. When Goldin heard that the Russians were getting Mir ready to fly a space tourist, he exploded. “They always seem to have a little extra money around for Mir but not for the International Space Station.”70 In the event the original $400 mil­lion that NASA had offered for Shuttle/Mir and Phase 2 space station costs ballooned to double that figure as the Russians added ever more requests for financial support (see table 8.3). However, though the political relations between United States and India seemed “estranged” on the surface during most of the Cold War, it is rather intriguing to see, underneath this “cold peace,” the extensive role the United States played through different government institutions and agencies to modern­ize India and to establish it as an alternative to the communist model adopted by the Soviet Union and, above all, China. As decolonization gathered momentum, the United States felt that it was imperative to stabilize and develop the country along capitalist and democratic ideals so as to win the hearts and minds of mil­lions of people in the Afro-Asian region. This is evident through the massive economic aid India received from the United States during the first two decades of India’s independence and the constant traffic of experts—from science and technology to cultural, linguistic, and economic fields—between the “metropo­lis” and “periphery.”4 Early nuclear cooperation, the origin and development of the Indian space program through NASA, artificial rainmaking experiments, oceanography studies, hybrid seeds and green revolution experiments through the Rockefeller Foundation—all of these technological projects during the 1950s and 1960s can only be seen as part of a sustained attempt by the United States to pull the Indian elite into the Western sphere of influence. India’s humiliating defeat in the border war with China in 1962 briefly brought the United States and India diplomatically together. The defeat by China was a “Sputnik shock” for the Indians that led to a rapid rise in defense budgets. Renewed importance was given to science and technology for defense purposes. John F. Kennedy‘s administration made use of this opportunity to promote India’s democratic credentials. Kennedy’s policy toward developing countries, India in particular, showed a striking difference compared to previous administrations. While Eisenhower’s secretary of state John Foster Dulles divided countries into pro- and anticommunists, Kennedy and his advisers were sensitive to the needs of new postcolonial states and gave room for the expression of independent for­eign polices by different countries in the developing world. They also believed that economic stability would bring prosperity and political stability that in turn would be a bulwark against expanding communism. However, ongoing distrust of India’s neutrality colored Kennedy’s perception of the country and restricted the scale of his innovative approaches to improved bilateral relations. Viewed through this geopolitical contextual grid, NASA’s significant coop­erative endeavors were not uniform but ebbed and flowed and were constantly shaped by this larger bilateral foreign policy framework. Significant punctuation points that altered, for better or for worse, NASA’s relations with India were: India’s border war with China—1962; the Chinese nuclear test—1964; the Indo – Pakistan War—1971; India’s first Peaceful Nuclear Explosion (PNE)—1974; the start of the Integrated Guided Missile Development program, IGMDP, in India—1983, after the successful orbiting of India’s satellite Rohini through an indigenously built Satellite Launch Vehicle (SLV-3) in 1980; the impact of the Missile Technology Control Regime, MTCR—1987; the Pokhran II nuclear weapons tests—1998; and the closer diplomatic relations that ensued after the 9/11 terrorist attacks on the United States. SITE was conceived as a classic communication system consisting of an informa­tion source, a channel, a receiver, and the destination. The operation and execu­tion of the experiment was dependent on a network of complex technological systems. Occupying the central node in the whole network was the ATS-6. It functioned as a relay station for receiving and sending signals originating in India; in other words it acted as a channel of communication between the trans­mitter and the receiver. The retransmitted signals from ATS-6 were received on the ground by a Direct Reception Systems (DRS). The United States provided the satellite while the full responsibility for the ground segment—earth stations, DRS, and television programs (software)—fell on India. Goldin did not want the existing partners in the space station to drain the momentum from his big-picture vision of a transformed space station that included Russia. He was advised that before moving ahead with Moscow “we needed to consult with our partners. He didn’t want to hear it. Those people didn’t last long in the agency. His plan had to go forward.”71 As was mentioned a moment ago, he and Clinton adopted a design that included a major Russian contribution in June 1993. Three months later in September 1993 the ESA member states were officially informed of the inclusion of Russia in the space station, now formally referred to simply as the ISS. It became clear rather quickly that Russia wanted none of that, that they had very strong opinions about this partnership and what capability they were bringing to the table, and therefore, their desires on what their role should be. So once we crossed that threshold of, “It’s not going to be minimal. There are going to be significant changes to this agreement,” what happened was, Japan pretty much didn’t want to change anything, Canada was rather flexible, and Europe came in with a whole new list of non-negotiable demands of changes that they wanted to have in the agreements as long as we’re revising them, or they’d walk away from the partnership. So when I went through these negotia­tions, I had as hard a time working out the terms and conditions with Europe as I did with Russia. All the existing partners officially endorsed the proposal in May 1994. The programmatic advantages were evident. Russia would contribute its extensive experience of long-duration human spaceflight, and valuable hardware: the heavy-lift Proton launcher and the Soyuz capsule that could be temporarily attached to the ISS during construction. There was a “peace dividend” too. The German chancellor said he was “convinced that this international coop­eration will make a major contribution to lasting cooperation world wide and will be a beacon of hope and trust for men and women on every continent.”75 This sentiment was endorsed by the ministers of the member states meeting in Toulouse in October 1995. Here the ministers agreed to fund what was now called a Columbus Orbital Facility (COF), which had been reduced to a third of its original size, with Germany bearing 41 percent of the costs.76 France agreed to pay 27 percent of the costs of an automated transfer vehicle (ATV). The first of several ATVs called Jules Verne would be launched by Ariane, controlled from Toulouse, and would resupply the ISS with propellant, water, air, and payload experiments every 18 months.77 Its pressurized cargo bay was based on a “space barge” developed in Italy and flown on the Shuttle, and that carried equipment to and from the station. The ministerial meeting also agreed to fund the design studies of a crew transport vehicle (CTV), a “lifeboat” that could be used to rescue astronauts from the ISS. In addition to negotiating an additional MoU between NASA and the Russian Space Agency, a new intergovernmental agreement (IGA) was needed to cover the arrival of the new partner. Barter agreements, “equivalent” contri­butions in kind that required no exchange of funds, were also concluded. ESA would provide the United States with additional hardware for the ISS while its COF would be launched free of charge on the Shuttle, rather than on Ariane. ESA and the Japanese space agency agreed to trade a – 80° laboratory freezer for the ISS for 12 international standard payload racks. ESA persuaded Russia to provide certain services in return for supplying the European robotic arm and the data management system for the Russian segment of the ISS. The new IGA signed in Washington, DC on January 29, 1998, was based on the first version signed almost a decade before. Thus as before Article 1 of the IGA affirms that “[t]he object of this Agreement is to establish a long-standing international cooperative framework among the Partners, on the basis of genu­ine partnership, for detailed design, development, operation, and utilization of a permanently inhabited civil international Space Station for peaceful purposes, in accordance with international law.”78 “Genuine partnership” was however parsed to reflect the criticality of the different contributions to overall mission perfor­mance. The United States and Russia would produce the elements that served as the “foundation” for the ISS, those provided by the Europeans and Japan would “significantly enhance” its capabilities, while Canada’s contribution would be “an essential part” of the system. At the insistence of Russia, the management of the station was placed on a more multilateral basis than in the 1988 agreements. The United States was given the “lead role” for “overall program management and coordination,” with the “participation” of the other partners.79 The other partners were responsible for the management of their own hardware and utili­zation programs. They would also participate in all important reviews. The change in the rules on criminal jurisdiction is also interesting.80 In the 1988 agreements the United States was entitled to exercise jurisdiction regard­ing accusations of misconduct by non-American personnel anywhere in the ISS—even if they were in or on non-American elements—if that misconduct was deemed to affect the safety of the whole station. In the 1998 agreements each partner state has jurisdiction over the behavior of its nationals in the first instance, though exceptions apply. It was also agreed that both the United States and the Russian Federation could use their elements for national security pur­poses if they so wished, but that they could not use the European elements with­out the consent of the European partner. The ISS transformed the way that NASA collaborated with its partners. The anxieties over Russian reliability and some resentment about the way in which dollars were spent by Moscow will surely make the agency and Congress extremely reluctant to give others a core role in a mission again without cast-iron guarantees that they can pay for what they do and that they can deliver. Nor is it certain that the much-vaunted foreign policy benefits that Clinton and Gore sought were achieved because Russia was integrated into the space station.83 Including Russia in the ISS was part and parcel of a wide-ranging initiative to transform the Soviet empire into a democratic, market economy, and might have played little or no role in facilitating the transition. Indeed, the ISS may not be a harbinger of a fundamental revision in NASA’s and Congress’s approach to international cooperation at all, as Pedersen hoped, but a unique experiment never to be repeated. The origin of the Indian space story often begins with the visionary scientist and technocrat Vikram Sarabhai, who is credited as being the father of India’s space program. But the early phase owes as much to the pioneering efforts of Homi Bhabha who was instrumental in the establishment of scientific institutions for the growth of science and technology in modern India.6 By the late 1950s, when initiatives were taken to pursue space research at a systematic level in India using scientific balloons and miniature rockets, Bhabha had already established the sci­entific ethos and the rationale for the pursuit of cutting-edge technologies in the nuclear and space domains, and had launched a major nuclear program. The duo, however, were not new to the field of space sciences; they had established their niche in cosmic ray physics even before they thought about huge scientific projects for the emerging nation state.7 In particular, Sarabhai was aware of the research opportunities, made possible by space technology, to study the upper atmosphere. Together they initiated early interactions with NASA for possible cooperative space projects. Vikram Sarabhai started a laboratory for the study of cosmic rays in Ahmedabad, which was later institutionalized by the setting up of the Physical Research Laboratory (PRL) in 1954.12 Thanks to the business enterprise his family had established, he became in Thomas Hughes’s phrase, a heterogeneous engineer with a multitude of portfolios.13 Popular writings portray him as an institution builder, a visionary, a pragmatist, and a Gandhian. Sarabhai never wavered in his view that the development of a nation was intimately linked with the under­standing and application of science and technology by its people. He selectively appropriated the modernization theories emanating from premier institutions like Massachusetts Institute of Technology (MIT) and Harvard University in the United States and created a rationale for a space program in a poor developing country, characterizing it as “a space program for rural development.” Thus for him, “Pursuit of cosmic rays and space research does not require an apology in a developing nation provided the activities are within a total scheme of priorities in the allocation of national resources.” He stressed that many of those who were engaged in pure science were also “involved in the organization and conduct of education, of planning and of industrial development in fields such as electronics and chemicals.” He himself “was actively interested in the application of science for the improvement of agricultural productivity and in the implications of science to society and problems of security.”14 For Sarabhai it was under these conditions that the indigenous development of advanced science and technology, including in space, was an imperative, not a luxury for a huge and relatively poor country like India. Indeed he believed that “what applies to the economy of India applies to the economy of most of the countries in the Indian Ocean region.” This is also why, while advocating for space, he was vocal against the superficial craving for prestige as justification for a developing nation to embark on a space program. Vikram Sarabhai was also known in international circles as an apostle for world peace and disarmament. He was a member of Continuing Committee of Pugwash, and participated in Pugwash Conferences on Science and World Affairs and set up the Indian Pugwash Society. In the late 1960s Sarabhai became the scientific chairman of the UN Committee on Peaceful Uses of Outer Space, and so became a vector, as it were, to publicize the benefits of space for the newly formed devel­oping nation-states. He was also interested in integrating India with the global community. His familiarity and high esteem at international meetings was recog­nized and he was also elected president of the fourteenth general Conference of the International Atomic Energy Agency (IAEA) in 1970. The sense of isolation that India experienced under colonial rule served as a major impetus for building a domestic program, to engage with scientific institutions around the world as an equal partner, and to create avenues for technology and idea sharing. US officials were captivated by the unusual combination of industrialist and physicist in one man. His participation in international conferences, his accomplish­ments in basic scientific research, his visiting faculty status at MIT, the list of com­mittees, commissions, and boards that he was a member of impressed the American embassy officials in India who wrote long reports to the US State Department of his activities. These qualities played a crucial part when NASA sought to build col­laborative partnerships with the developing regions—here was a member of a native elite who could be a suitable ambassador for NASA’s peaceful programs in develop­ing countries, and not just in the region but across the world. Sarabhai died in 1971. The direction the Indian space program took under Vikram Sarabhai and the close cooperation he enjoyed with NASA, both techni­cal and managerial, for more than a decade shaped the future trajectory of the country’s space ambitions. of transmitting signals directly to many small ground stations over a large area (figure 12.3). 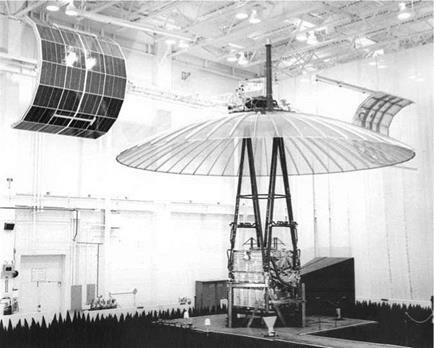 The prime objectives of ATS-6 missions involved demonstrating a 30-foot deployable antenna in synchronous orbit, providing a three-axis stabi­lized spacecraft with 0.1 degree pointing capability in all three axes, and provid­ing an oriented platform at synchronous altitude for advanced technological and scientific experiments. The SITE was made possible when all of these objectives were achieved.30ATS-6 thus represented the kind of satellite system appropriate for communications within many developing countries, where most of the population lived dispersed in rural areas, rather than in large population centers.31 ATS-6 was launched on May 30, 1974, and it carried approximately 15 scientific experiments in the field of communication, meteorology, and spacecraft stabilization. The export of space “technology” has always been constrained by the fear that it may compromise American national security or the economic competitiveness of US firms.1 As we saw in chapter 3, National Security Advisory Memorandum NSAM294 (on ballistic missile/rocket technology) and NSAM338 (on comsats) issued by the Johnson administration in the 1960s were intended to impede undesirable knowledge flows. Fears of technology transfer, and the need to con­trol it, hovered over the debate on European participation in the post-Apollo pro­gram, and on the sharing of rocket technology with Japan and India, described elsewhere in this book (chapters 4-6, 10, 12). Historically NASA has favored a fairly generous policy on technology trans­fer. The key pillars of the policies put in place by Frutkin in the early 1960s—no exchange of funds, and clean interfaces—shaped the structure of international collaboration and deftly helped NASA kick-start programs all over the world without undermining national security or economic competitiveness. However, as other friendly space-faring nations matured, and as their potential contribu­tions to NASA’s program increased, the agency had to navigate between the pressure to deepen scientific and technological collaboration, and the objections of those who wanted more formal restrictions on the sharing of hardware and knowledge. The conflicts emerged with particular intensity in the early 1970s with Western Europe, and with Japan and India in the 1980s. By the 1990s NASA realized that it would have to formalize and streamline its export control system to cope with new international and domestic realities, notably a major scare over the People’s Republic of China’s appropriation of American weap­ons and space-related technologies. The more stringent implementation of the International Traffic in Arms Regulations (ITAR) after 2000, and the onerous fines, including imprisonment, imposed for their violation caused some concern to people both in the United States and abroad. Preserving national security across a vast domain of dual-use technologies against the pressure from research and business who favor putting high walls around well-defined sensitive areas involves complex trade-offs and is a topic of ongoing interagency consultation. Two arms of the executive branch, the Department of Commerce and the State Department, deal with most space-related export controls.2 The former administers the Export Administration Regulations (EAR), which pertain to “dual-use” commodities, software, and technology, that is, items that have pre­dominantly commercial uses but that can also have military applications and that are to be found on the Commerce Control List (CCL). The Directorate of Defense Trade Controls (DDTC) in the State Department (the Office of Munitions Control in the early 1970s) administers the ITAR. The ITAR are intended to curb the proliferation of sensitive technologies and weapons of mass destruction by preventing the circulation of defense articles and defense services. Defense articles are listed on the US Munitions List (USML). The term “export” is misleading (as is the phrase “technology transfer”) if one wants to understand the scope of the control regime. These terms create the impression that only commodities are regulated. But authorization is also required (in a Technical Assistance Agreement, or TAA) to export technical data (as distinct from “purely theoretical scientific data,” which was treated more leniently). The meaning of the term “export” is correspondingly expanded. To quote Finarelli and Alexander, under ITAR, to export was defined in 2008 as “[a]ny oral, written, electronic, or visual disclosure, shipment, transfer, or trans­mission outside the United States to anyone, including a U. S. citizen, of any commodity, technology (information, technical data, or assistance), or software, or codes.”5 A second clause restricts even the “intent” to make exports of this kind to “a non-U. S.-entity or person wherever located,” that is, in the United States or abroad, and a third specifically controls any transfer to a foreign embassy or affiliate. Thus when US entities seek to transfer US technology abroad, they are triggering a process that manages not simply the “export” of commodities or “articles,” but that regulates the flow of related data and knowledge, where knowledge is inscribed in many different forms, from the statement and the image to the hardware, and transmission occurs through many different chan­nels, from the spoken word and the visual display, to shipment. The Arms Export Control Act of 1976, often wrongfully attributed as being the genesis of ITAR, confirmed that the range of space technologies designated by Bass were indeed to be treated as defense articles, and that data exchanged regarding them was a defense service. That granted, it could always be argued by a US entity that specific items did not fall under the ITAR, and should be treated as dual-use technologies to be regulated by the less-restrictive EAR. In the case of the EAR, but not the ITAR, the decision over whether or not to grant an export license takes account of commercial factors, and above all whether or not the client could acquire the item from a foreign source if an American company did not provide it. In practice it is often found that many applications under the EAR do not need an export license, though the item must be evaluated before the determination is made and justifying documentation must be provided. The reach of the legislation that embodies the control regime is negotiated and renegotiated between arms of the administration that have different and some­times conflicting mission-objectives. They take account of input and pressure from various stakeholders in space, notably firms interested in expanding their markets, who seek to have their items regulated by the more relaxed EAR on the grounds that they are dual-use commodities, not essentially instruments of war, but also scientists and engineers involved in international projects. Social actors who have to implement the legislation can face stiff penalties—fines, imprison­ment, loss of further government contracts—for not respecting its requirements and, in case of ambiguity, spontaneously retreat to a conservative interpretation of the law to protect themselves. The United States’ relations with India in the civilian aspects of space dates back to 1957 when the Uttar Pradesh State Observatory at Nainital, situated in Northern India, began the optical tracking of satellites in collaboration with the Smithsonian Astrophysical Observatory (SAO).15 This was initiated in the framework of the Indian IGY program. The technical equipment provided was the highly specialized Baker-Nunn satellite tracking camera and a quartz clock. It was one of twelve in the world that filled an important gap between Iran and Japan in the global network of tracking stations. Through these stations, the approximate positions of satellites (both Soviet and American) were obtained. Following the launch of Sputnik by the Soviet Union in 1957 the United States, through the newly formed NASA, made several overtures to emerging “third world” countries, inviting them to participate in the space program by experimenting with sounding rockets. Some countries, seeing the prestige asso­ciated with modern space technologies, immediately responded to the offers made by NASA to establish sounding rocket bases and develop nascent space programs at home. Working on space sciences offered the newly decolonized states and developing countries the promise of a march toward modernity—the native elite viewed experimenting with rockets as a source of pride, prestige, and a visibility among nation-states. However, very few countries that accepted the offers (tracking stations and sounding rocket facilities) actually sustained and built their own space programs for socioeconomic and strategic needs. 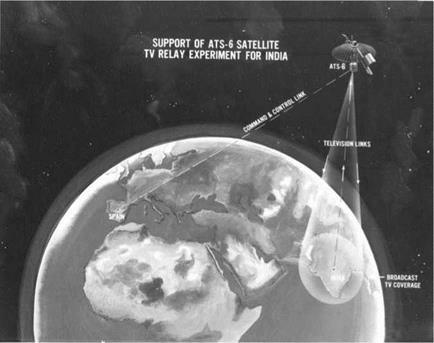 The initial motivation for NASA to cooperate in a sounding rocket program with India was the perceived benefit of getting scientific data on the tropical atmosphere. These ambitions neatly merged with India’s long scientific tradition of studying cosmic rays and the sun’s ultraviolet rays. This work had been started by physicists such as Megnad Saha, who was later followed by scientists such as K. R. Ramanathan,18 Raman Pisharoty, Homi Bhabha, Vikram Sarabhai, and others.19 The early space science experiments using balloons and miniature rock­ets during the 1950s and 1960s were gradually nurtured into a space program by Sarabhai. The implementation of his ambitions was possible thanks to NASA’s help, gifted scientists, the Cold War, India’s geographic location close to the magnetic equator, and the political will of the Indian leaders. The first recorded mention of Vikram Sarabhai expressing an interest in NASA’s international cooperative programs was in the spring of 1961, while he was enrolled as a visiting professor at MIT. Following his previous discussions with world-renowned physicists such as Bruno Rossi at MIT, James Van Allen at Iowa, and J. A. Simpson and P. Mayer at Chicago, Sarabhai told NASA of India’s plans to start a space science research program at select facilities: the Physical Research Laboratory (PRL), Ahmedabad; the Tata Institute of Fundamental Research (TIFR), Bombay; and the Tata Institute of Nuclear Physics (TINP), Calcutta. He also described his plans to recruit trained Indian physicists in European countries and the United States. November 9 and 15, 1961. He stated that the committee would be responsible for selecting appropriate programs for India, and for training young people in the field of space sciences and technology. It would also send representatives to participate in meetings organized by COSPAR. Bhabha suggested that the “committee” would become the principal point of contact with NASA. The body mentioned to Frutkin by Sarabhai and Bhabha, the Indian National Committee for Space Research (INCOSPAR), met for the first time on February 22, 1962. It was formed within the Department of Atomic Energy (DAE) under the chairmanship of Sarabhai and was composed of eminent scientists who were instructed to manage all aspects of space research in the country.24 The establish­ment of this institution brought organization and coordination to isolated space activities that were carried out in different regions across the country. It dealt with both national and international affairs, until a separate Indian Space Research Organization (ISRO) was formed in 1969. In 1972 ISRO was separated from the DAE and was constituted under the newly created Department of Space (DOS). INCOSPAR, however, did not cease to exist; it was reconstituted under the Indian National Academy of Science (INAS) and retained responsibility for the promotion of international cooperation in space research and exploration and peaceful uses of outer space, and liaison with the UN Committee on Space Research (COSPAR). The Thumba Equatorial Rocket Launching Station (TERLS) was established in 1963 at the coastal village of Thumba, in the state of Kerala. Its southern loca­tion (8° 33’ N, 76° 56’E) close to the magnetic equator (0° 24’S) proved an ideal location for launching sounding rockets to undertake geophysical investigations, particularly those dealing with the interaction of neutral and charged particles in the earth’s magnetic field.33 The advantages of such a site were pointed out by Frutkin. As he noted, the “true potential of sounding rockets as a scien­tific tool can be realized only if many vertical profiles are obtained—in a wide range of localities and epochs—with correlation of the results. International cooperation is obviously an essential ingredient for sounding rocket work.”34 Cooperative launchings of sounding rockets took place in many countries with shared responsibility from the host countries, mainly ground instrumentation and data analysis.35 Sarabhai saw the importance of sounding rockets for upper atmospheric studies but also recognized the importance of ground facilities such as those at Thumba. “The study of this region in the equatorial areas is one of the major gaps in the study of our environment today,” he wrote, adding that “as far as India is concerned with the facilities that have grown up, we have fantastic opportunities in the years to come to understand many complex phe­nomena involving the interaction of the ionosphere with the geomagnetic field, problems of the neutral and the ionized atmosphere and the interaction of these two.” Consistent with his stress on the significance of basic research for applied and socially relevant problems, Sarabhai went on to emphasize that “these sub­jects are of importance not only for the understanding of radio propagation, but also from the point of view of meteorology and basic problems of energy and momentum transport into the lower atmosphere where climate is made.”36 These were persuasive claims for an agricultural economy that depended cru­cially on the weather to feed millions of rural families. Site selection was just the first step, of course. Beyond this there were various technological hurdles to establishing a sounding rocket range for launching and retrieving data from the sounding rocket payload. To ease the difficulties the MOU between NASA and INCOSPAR included a provision for the recruitment of a small group of young men affiliated with INCOSPAR to visit NASA for training at the Goddard Space Flight Centre, and at the Wallops Island facility, where they would learn about building and launching sounding rockets. This training was in assembling imported sounding rockets and their scientific pay­loads, procedures for the safe launch of these rockets, tracking the flight of the rockets, receiving data radioed down during flight, and collecting other scien­tific information required. Initially, eight Indian representatives appointed by INCOSPAR were trained at NASA field centers for approximately six months in preparation for operations at the Thumba Range. On their return, these men set up the sounding rocket range in Thumba. Subsequently, there was a constant traffic of scientists and engineers, in batches, from India to NASA facilities dur­ing the 1960s. In January 1964 a team of scientists appointed by the UN committee inspected TERLS to determine its compliance with the condition of sponsorship for an international sounding rocket facility, and reported favorably. Sarabhai years later mentioned that “the sponsorship of TERLS by the UN [was] not simply for­mal; it constituted an umbrella under which over 105 rocket experiments were conducted by various nations like France, Germany, Japan, United Kingdom, USA and USSR, jointly with India, as an example of active co-operation in space research.”45 An International Advisory Panel was formed comprising two rep­resentatives each from India, the United States, the USSR, and France to con­tinue operations. TERLS was formally dedicated to the United Nations in 1969 in the presence of various dignitaries including, from NASA, Arnold Frutkin and Leonard Jaffe, director of Space Applications programs, Office of Space Science and Applications. The meeting was presided over by Prime Minister Indira Gandhi. The first step in that direction was directed toward the indigenous production of sounding rockets and complementary subsystems—scientific payloads, instru­mentation, telemetry, and ground systems. As a result of this conscious attempt, Thumba during the early 1960s witnessed both the transnational traffic of scien­tific and technological experts and the mushrooming of new firms, facilities, and institutions. A Rocket Propellant Plant (RPP) and Rocket Fabrication Facility (RFP) were established in Thumba. The indigenous production of sounding rockets was gradually scaled up to a satellite launch vehicle that could place a small satellite in low-earth orbit in 1980. Parallel skills were also acquired in sat­ellite technology. A step in the direction of participating in the evolving global satellite communications system was taken through the establishment of the Experimental Satellite Communication Earth Station (ESCES) by INCOSPAR in Ahmedabad with assistance from the United Nations Development Program (UNDP) through the International Telecommunication Union (ITU)—the executive agency of the project. The equipment came from National Electronics Corporation (NEC) of Japan. Through an agreement with NASA this earth station participated in the Application Technology Satellite (ATS-2) Test Plan. ESCES was also foreseen by officials at NASA, the UN, and INCOSPAR as a node for training scientists and engineers from several developing countries in the field of satellite communication and related technologies.50 When Sarabhai became the head of India’s Atomic Energy Commission, after the tragic death of Homi J. Bhabha in an air crash over Mont Blanc in 1966, he was himself think­ing of how best to use nuclear power for development needs. By associating itself with the tenets of modernization the nascent space group was able to convince the Indian government of the potential of the space program for socioeconomic benefits and thereby extract financial support for their efforts. ISRO was responsible for the installation and maintenance of the earth sta­tions and also the design, installation, and maintenance of the augmented com­munity receivers. The earth stations and the DRS formed the ground segment of the network. While NASA provided the satellite, the ground segment was indigenously manufactured by ISRO with little help from foreign countries. The earth stations helped transmit signals to the satellite, the satellite received these signals, amplified them, and transmitted them back to earth where they were received by custom-made television sets that were suitably tuned. Four earth stations located in Ahmedabad, Delhi, Amritsar, and Nagpur were utilized for the SITE project. The central earth station that transmitted the bulk of the programs using the 15-meter parabolic antenna was located in Ahmedabad. The second earth station, a 10-meter parabolic antenna located in Delhi, helped in telecasting national programs—Republic Day, Independence Day, and addresses from the prime minister and president. It also served as a backup facility if the central station in Ahmedabad were to face any techni­cal glitches. The third earth station was located in central India in Nagpur. It housed the “monopulse beacon” instrument. The ATS-6 satellite had the capa­bility of “homing in” to a beacon station located to keep the satellite accurately oriented if its internal pointing systems failed. This was one of the important back up modes to ensure the ongoing functionality of the ATS-6 spacecraft.